Rehabilitative therapy is usually very expensive and confined to specialized rehabilitation centers or hospitals, leading to slower recovery times for corresponding patients. Therefore, there is a high demand for the development of technology-based personalized solutions to guide and encourage patients towards performing online rehabilitation program that can help them live independently at home. 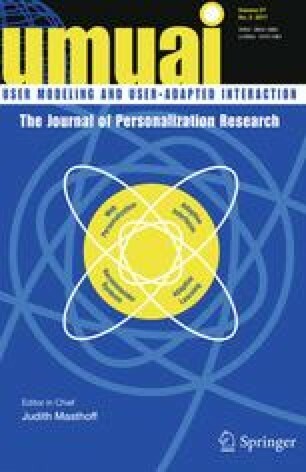 This paper introduces an innovative e-health framework that develops adaptive serious games for people with hand disabilities. The aim of this work is to provide a patient-adaptive environment for the gamification of hand therapies in order to facilitate and encourage rehabilitation issues. Theoretical foundations (i.e., therapy and patient models) and algorithms to match therapy-based hand gestures to navigational movements in 3D space within the serious game environment have been developed. A novel game generation module is introduced, which translates those movements into a 3D therapy-driven route on a real-world map and with different levels of difficulty based on the patient profile and capabilities. In order to enrich the user navigation experience, a 3D spatio-temporal validation region is also generated, which tracks and adjusts the patient movements throughout the session. The gaming environment also creates and adds semantics to different types of attractive and repellent objects in space depending on the difficulty level of the game. Relevant benchmarks to assess the patient interaction with the environment along with a usability and performance testing of our framework are introduced to ensure quantitative as well as qualitative improvements. Trial tests in one disability center were conducted with a total number of five subjects, having hand motor controls problems, who used our gamified physiotherapy solution to help us in measuring the usability and users’ satisfaction levels. The obtained results and feedback from therapists and patients are very encouraging. This paper or a similar version is not currently under review by a journal or conference, nor will it be submitted to such within the next three months. This paper is void of plagiarism or self-plagiarism as defined in Sect. 1 of ACM’s Policy and Procedures on Plagiarism. This project was supported by the KACST Research program (M-S-37-60) in the Kingdom of Saudi Arabia. We would like to thank all the therapists and doctors that gave us useful feedback of the system and medical specific knowledge in the Disability Children Association in Makkah. Particularly, we thank Dr. Shehnaz Hassan of physiotherapy department of Umm Al-Qura University for her time and efforts. We would also like to thank all the patients who agree to use our framework and participated in the user study and also gave valuable feedback. We kindly acknowledge the useful suggestions from Dr. Mohamed F. Mokbel of University of Minnesota, Dr. Sohaib Khan and Akhlaq Ahmad from Umm Al-Qura University, and Dr. Ahmed Lbath of University of Grenoble Alpes, France. We would like to thank Wadi Makkah Technology Innovation Center at Umm Al-Qura University, Saudi Arabia for providing the necessary resources.